Recently quite a few news outlets came out with reports regarding the launch of the new Samsung Galaxy S10 which is right around the corner, February 20 if I am not mistaking, and there's also the rumor that the new smartphone might store safely cryptocurrencies by having a built-in crypto wallet created by the giant Korean tech manufacturer. 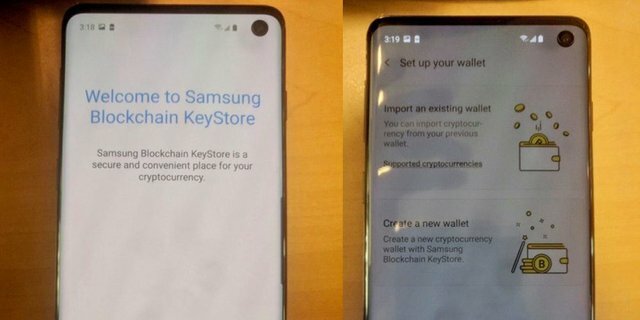 The topic was discussed by both CCN and gsmarena.com and everything spins around “Samsung Blockchain KeyStore” which is "the thing" created by Samsung that will make possible for the new S10 to be able to store cryptocurrencies for its users. What cryptocurrencies are we talking about? 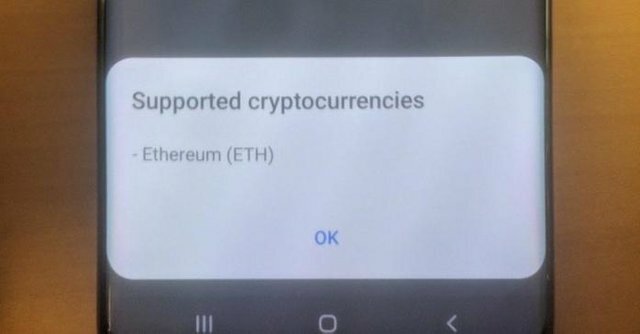 According to CCN, the leakster Gregory Blake that was mentioned in the report, has shared a few pics of a purported Samsung Galaxy S10, before its official launch, and the only supported crypto on the device was Ethereum. Now these are only rumors and several more other cryptocurrencies might be also supported, such as...Steem. Steem? Yes, you read it right. From what I remember I read a post a few days ago by @pele23 in which he shared a screenshot of a discord discussion in which @haejin was mentioning something about Samsung acquiring Steemit. If that would be true and Samsung will launch a S10 Galaxy smartphone with a crypto wallet embedded and support for Steem among others, mentioning also something about Steemit being acquired by the Korean giant at the event, then we can expect some mooning for Steem. However, these are all rumors for now and we will only know for sure by end of February if we're gonna have a "crypto S10" or not and if it will support Steem also. Fingers crossed till then! Thanks for attention and have a great day!